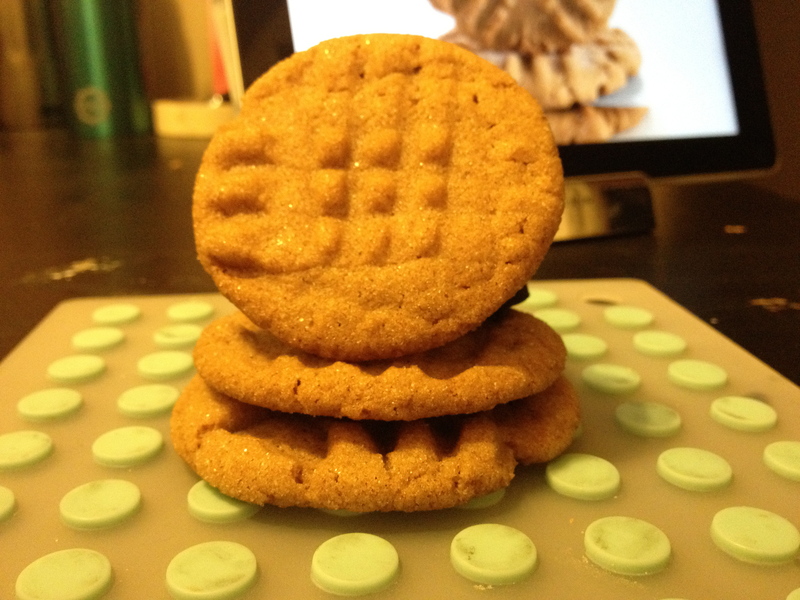 While I wasn’t thrilled to try another McCormick recipe (see Mocha Slice Cookies), I thought these looked good. And we all know I did have to share the blame for substituting ingredients on that one. Here’s another sparkly, pretty cookie. Let’s do this. Shannon came over and offered to assist. I was weary (no offense, Shannon), but decided to delegate some tasks. I had her read the ingredients so I could pull them out and measure. She was busy talking to Dustin about irrigating a catheter the whole time – both appropriate and efficient. 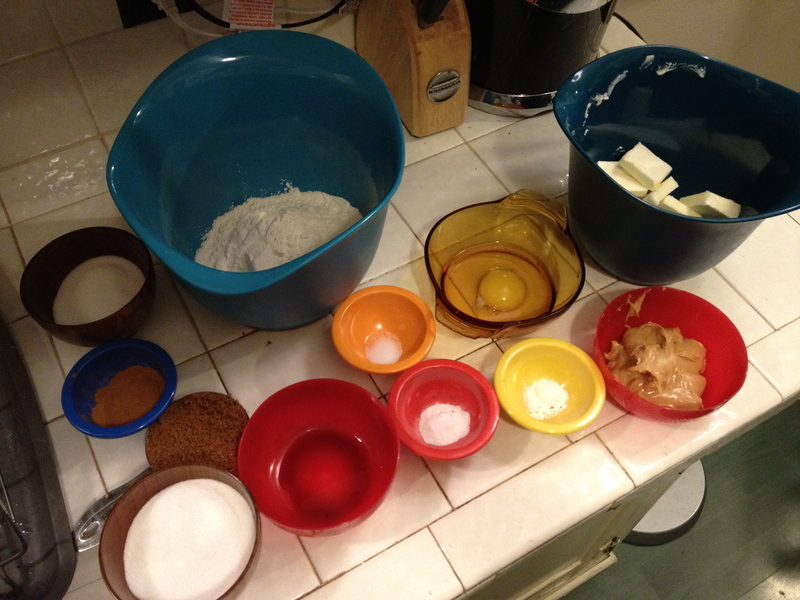 Step 1: Gather ingredients: flour, sugar, cinnamon, salt, baking soda, baking powder, egg, peanut butter, butter, vanilla, brown sugar. Some of the peanut butter stuck to the sides even though I had the SCRAPER EDGE BEATER. 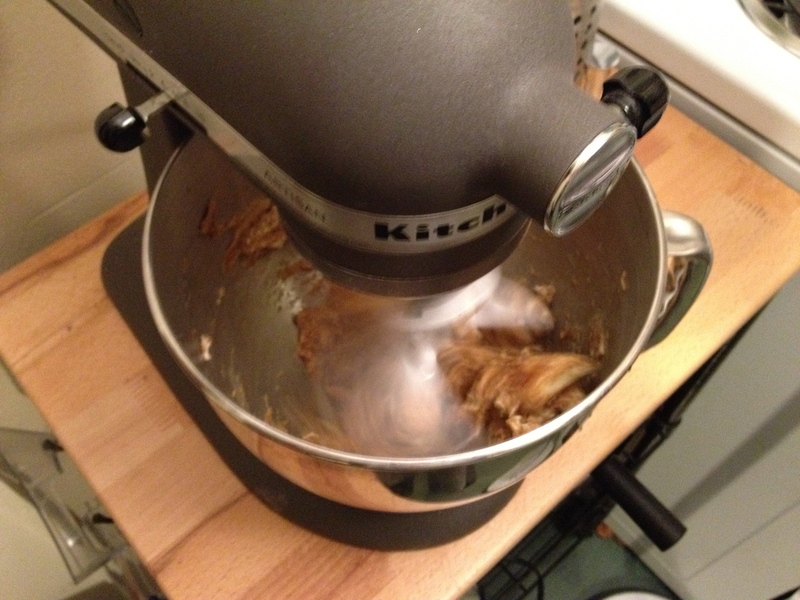 WTF, Kitchenaid?! Look at the sides! Luckily it was still all mixed. 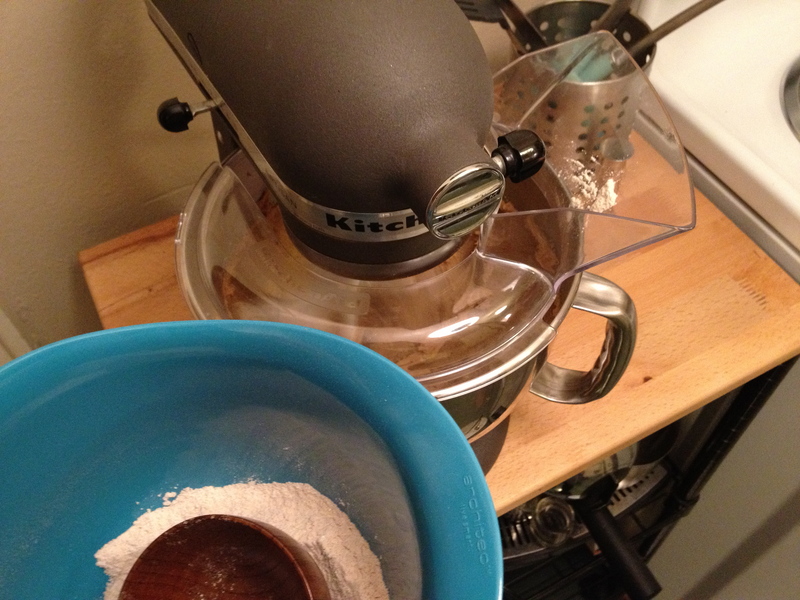 You’re safe this time, Kitchenaid. Cool, time to do dishes! That’s what my assistant is for. Nope. She went and sat on my couch! In that 2 hours, we went to Target, ordered pizza, and played Wii. All my favorite things! 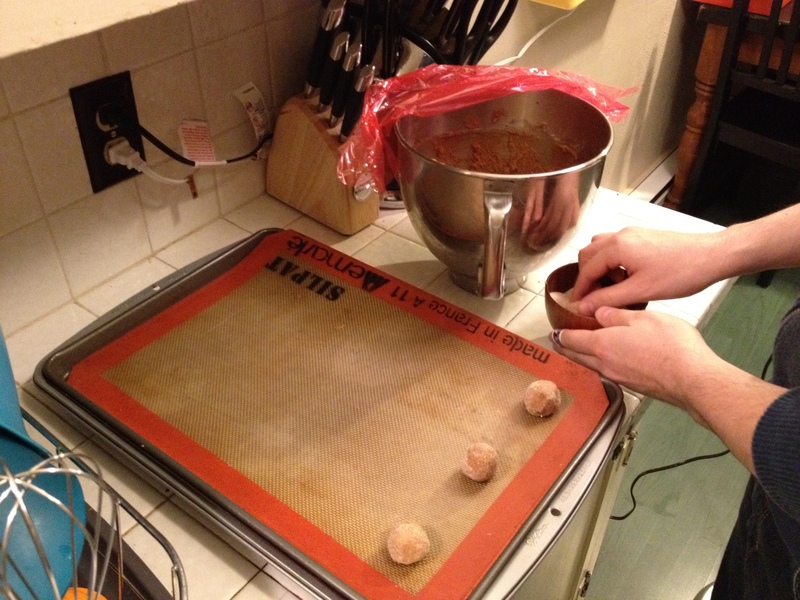 Step 6: Roll dough into 1-inch balls and roll in cinnamon sugar mixture. 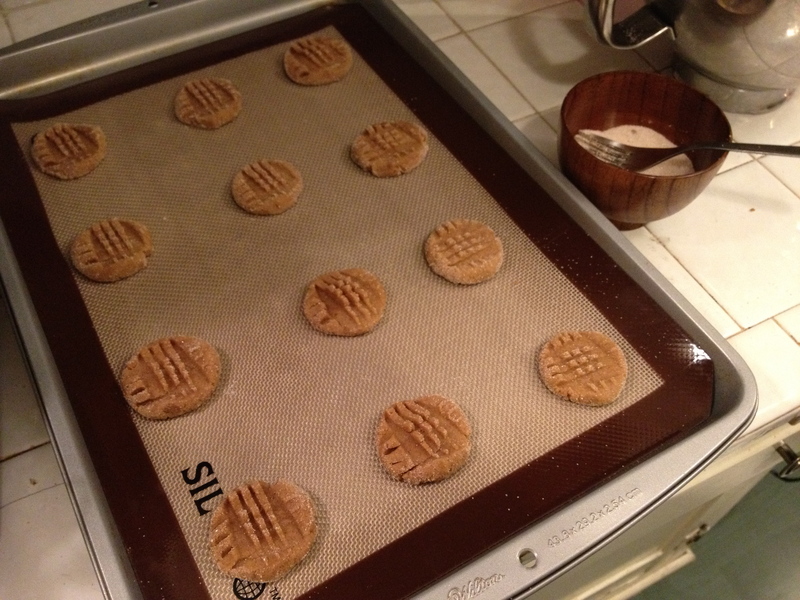 This recipe didn’t specify if/how to line the baking sheet (stupid McCormick), so I chose Silpat. 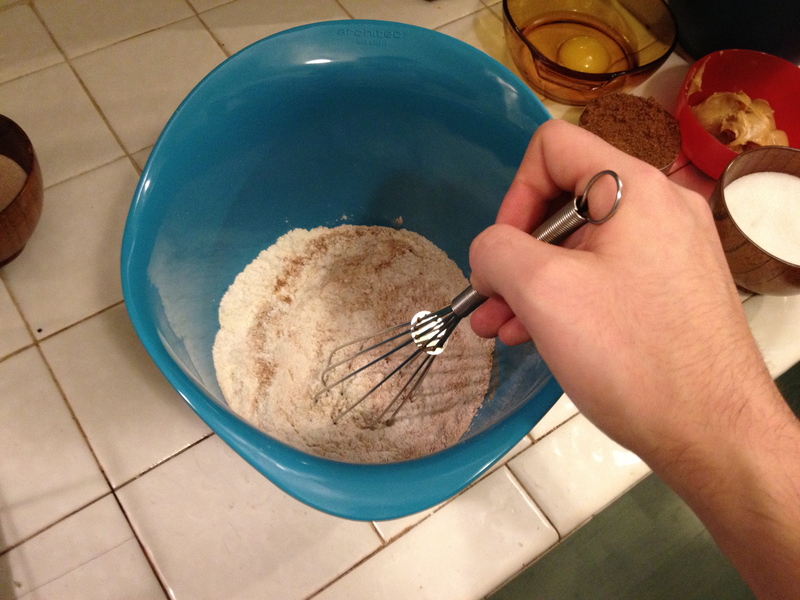 The fork kept getting stuck in the dough. I ended up dusting it with sugar before pressing down. It kinda worked. 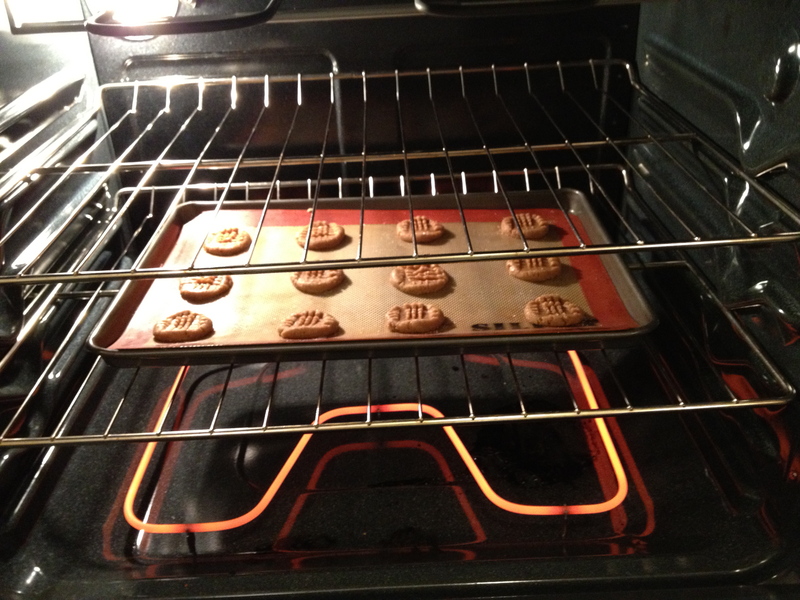 Step 8: Have your assistant put them in the oven. Make ’em hot. 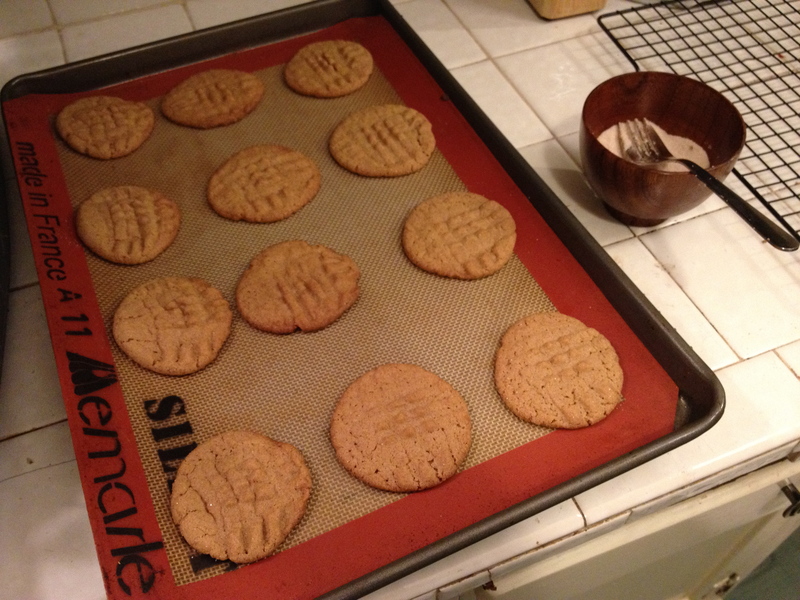 Guess what happened right after I pulled these out of the oven? The pizza guy arrived! 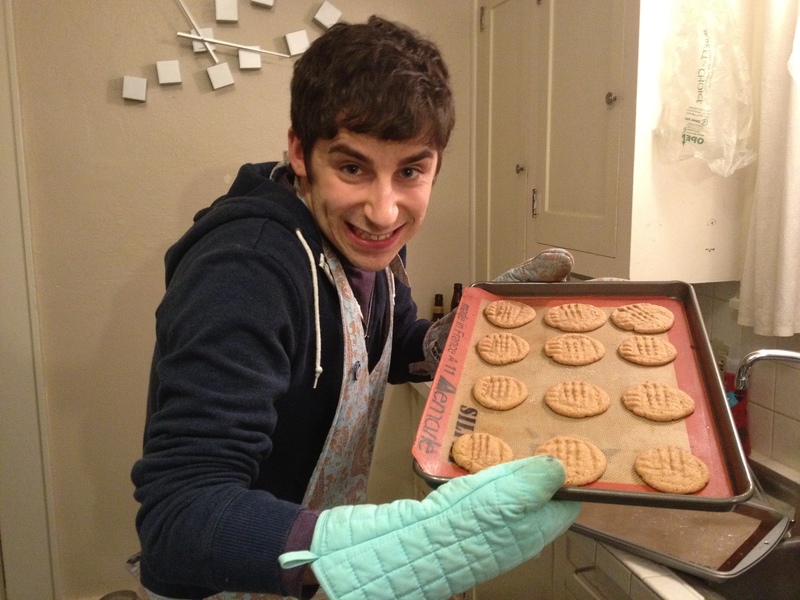 “GIVE HIM A COOKIE!” yelled Kristina. Great idea! A third-party review! What. A. Success. The Pizza Hut guy liked them. That means I made Martha proud, right? Right? Step 9: Make the cheesiest pizza face you can. Todd: Tasted the cinnamon. Didn’t know they were peanut butter. 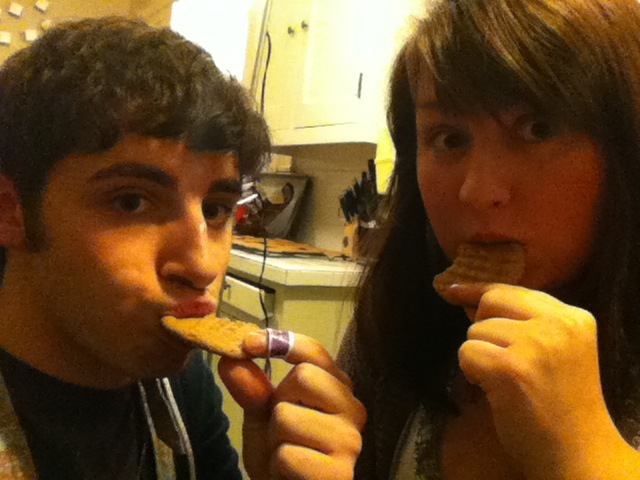 Shannon: Tasted the peanut butter. Didn’t taste the cinnamon. 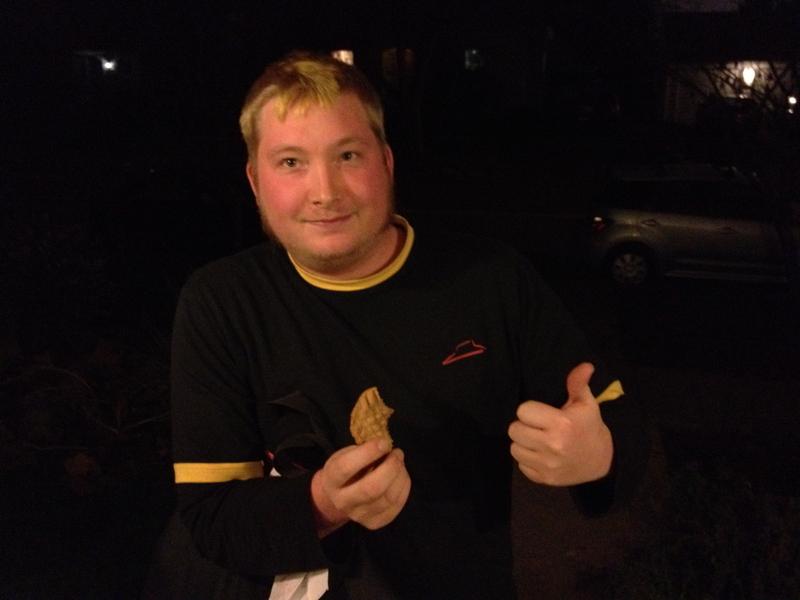 Dustin: Favorite cookie so far. 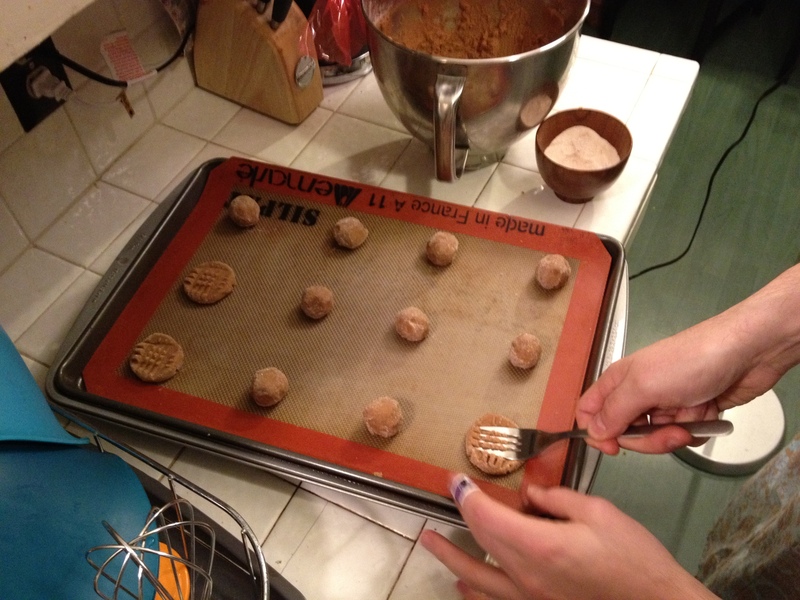 Brittany: Would have been better if I underbaked them so they were more chewy. Did the fork get stuck because I was pressing too hard? I was happy to have Shannon and had fun. I’m just giving her a hard time. Don’t hate on me, gurl. Let’s do it again. That recipe was pretty easy and, I guess, kind of boring. I’ve been afraid to try something difficult. I’ll do it for the next one. Wish me luck! I best get some of these. What kind of P Bitter did you use. It better be chunky. Like me. Yea, what kind of peanut butter Nate? 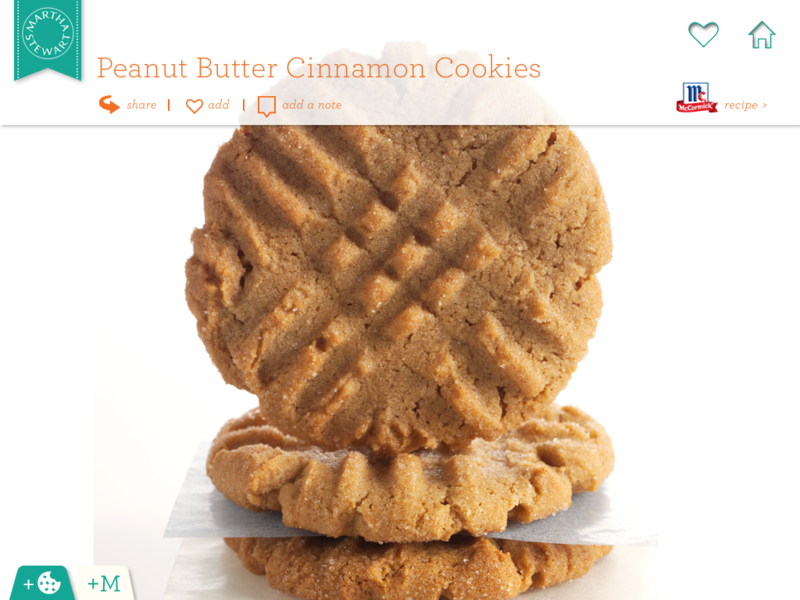 I love peanut butter cookies so much. Got any left? You can just put one on my desk, it’s totally cool. Kthx. You have a lot of cool baking stuff. I want more cool stuff. 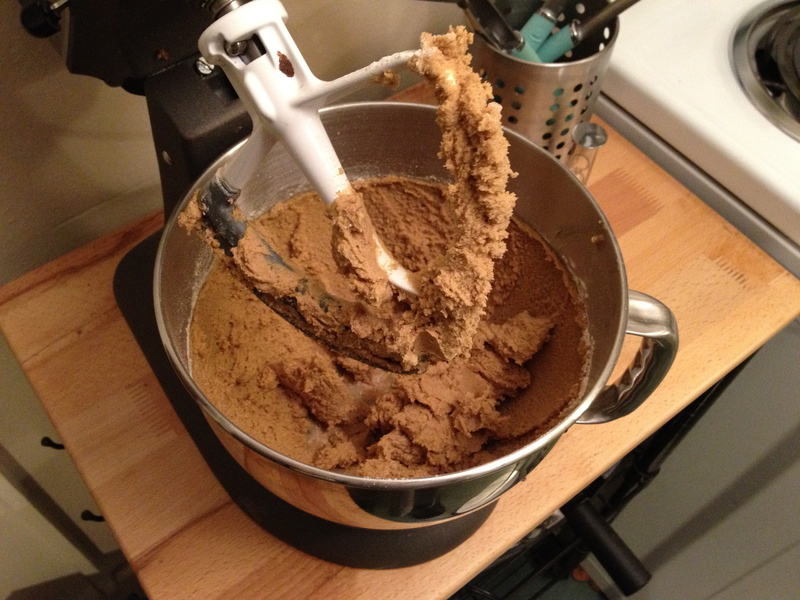 Love the mixer. I don’t have one, do everything by hand… a lot of cramps.